Welcome to the worlds most dangerous place. Once known as a paradise on earth it is now a playground for blood thirsty militants. A company is generating millions of unaccountable dollars that benefit all powers from politicians and leaders to bureaucrats in the Indian and Pakistani Intelligence. From high ranking army and police officers to the militants and their supporters everyone gets a piece of the pie. The military intelligence gets a whiff of a plot that is likely to disrupt and possibly paralyze Kashmir. Vikram is sent to investigable this highly confidential mission assuming the identity of Gul Jehangir. The same day that he lands in the valley. Haji a top separatist leader survives a blast is there a connection between the blast and the operation. To solve this conundrum, Vikram teams up with Aziza, Haji’s young aggressive and outspoken protégé. The intensity of their belief and they will to survive against all odds creates a special bond between them. They embark together on a journey of full of intrigue, suspicion betrayal and danger to uncover the truth. 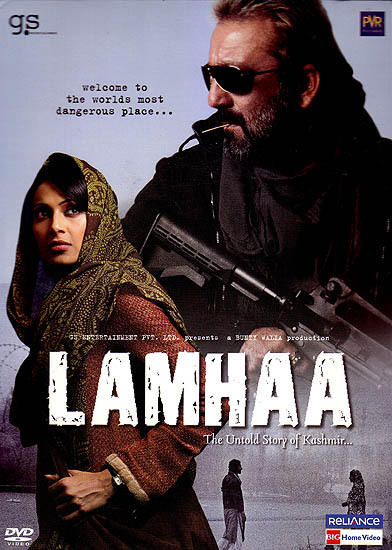 What seems like a routine investigation ends up being an operation that will change the perspectives and ideologies of both Vikram and Aziza as it exposes the dirty secrets of a state’s fight for freedom the corrupt nexus of politicians, intelligence militancy and the crucification of idealistic and passionate people. In such a scenario are the bullet and the bomb the only solution? Will wisdom prevail in the valley of flowers so that the common Kashmiri’s are not sacrificed in the crossfire of politics? Will Vikram manage to restore peace and normalcy in the heaven turned.